The Black Diamond Kingpin Gloves in action on some continental water ice. 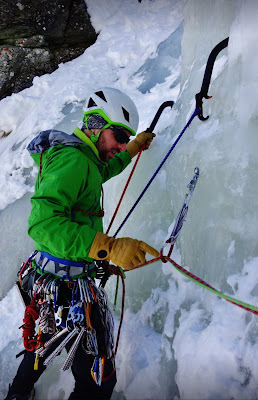 Tough leather gloves for winter climbing, skiing, and summer mountaineering. 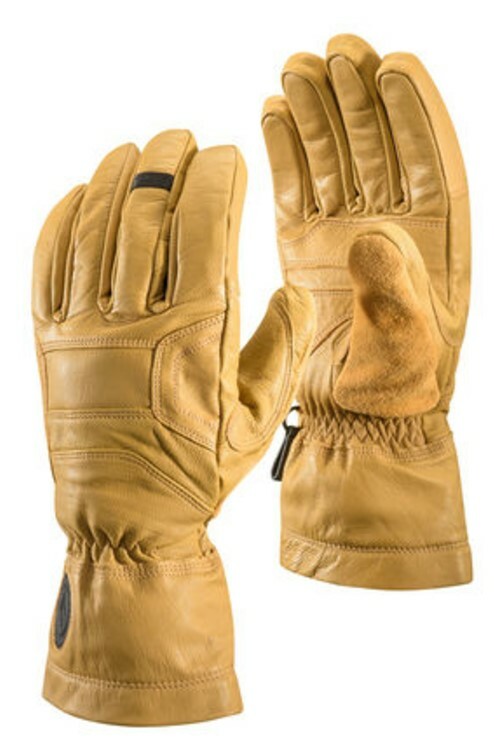 This is this reviewers third pair of Kingpin gloves. The gloves are tough, and that’s what we like about them. Winter climbing and summer mountaineering have a tendency to shred gloves like nothing else and these gloves provide a solution to that. This year’s version of the Kingpin has changed slightly from previous versions, the Velcro strap has been removed and replaced with a collar around the wrist, much like welding gloves. We appreciate this change as it makes taking them on/off simpler, keeps our wrists warm, and keeps snow out better when winter climbing. We found dexterity to be very good for the level of insulation. Overall the Kingpin gloves are great, tough, medium temp winter gloves and are probably some of the best value around when considering how long they last (cheaper all leather gloves are available but durability is sacrificed). These are an excellent choice, combined with lighter gloves for high-exertion activities or approaches. Things we like: Tough, simple, tough, warm, tough.